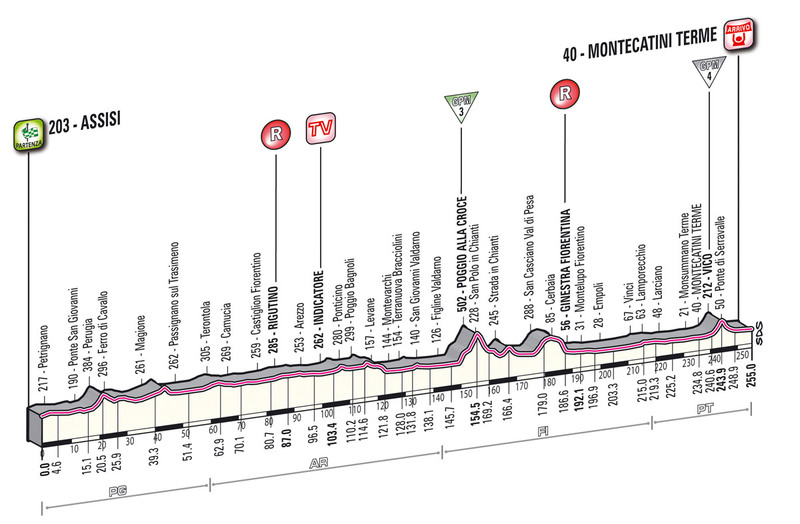 With the high mountains of the final week looming, the longest stage of the 2012 Giro d’Italia provides one of the last chances for the sprinters to take a stage win. It’s not an entirely flat run-in to the line. 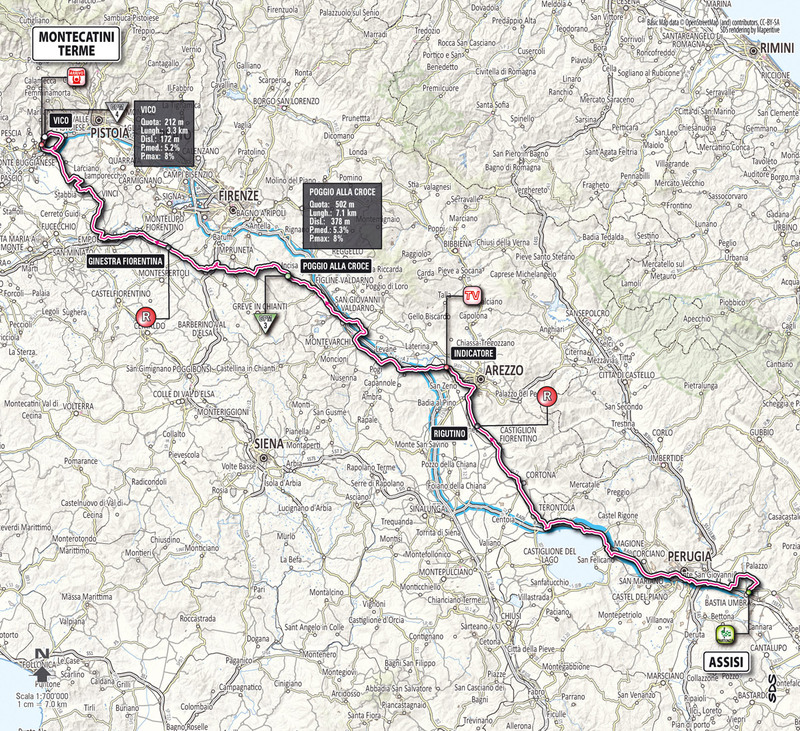 A category four climb just over 10 kilometres before the finish could spell the end for some of the less climb-friendly fastmen if the bunch decides to keep the pace high. Any dropped riders will have to work hard to regain contact with the peloton before the finish.